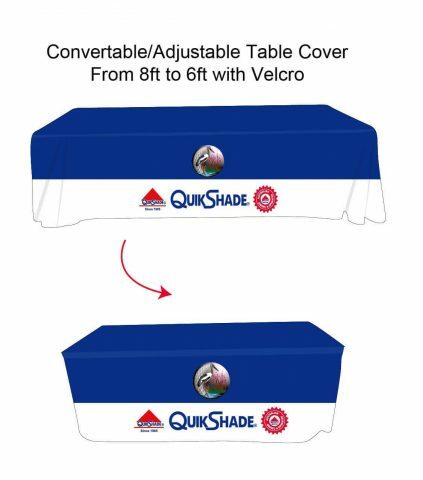 Stretch fit covers, Loose fitted covers, Table Throws for traditional sizes of 6ft (1830mm x 760mm) and 8ft (2440mm x 760mm) rectangular tables – and custom sizes available. We can also supply a range of covers to suit round tables. 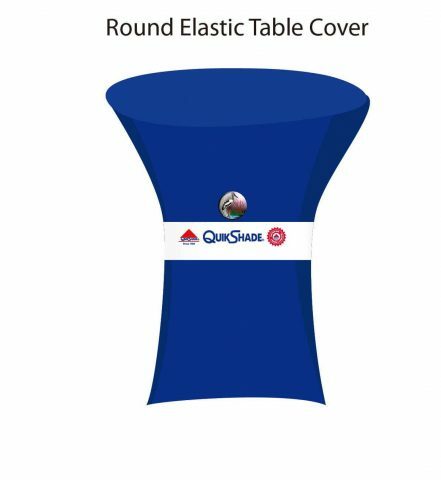 Add your branding to our exciting new range of table covers – choose between closed backed, open backed or a zipped back – and now we can also offer you a range of options for circular tables, stretch fit table top covers and even an extendable Table Cover! 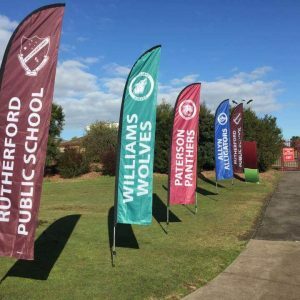 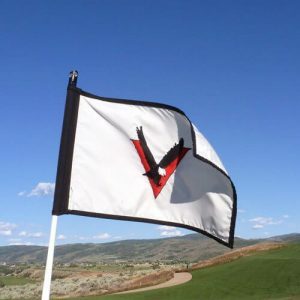 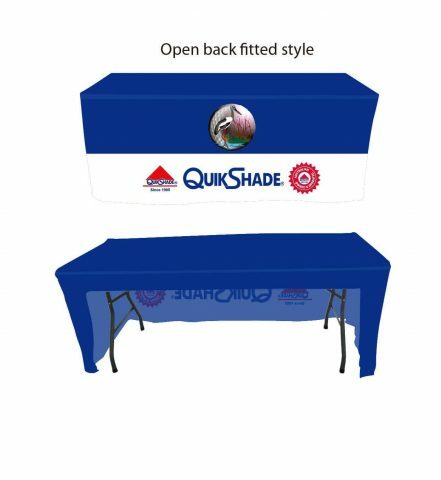 “Stretch fit” for a taut smooth look and feel, eliminates wind interaction or “Loose fit” allows for slight movement, the Table Throws are like a traditional table cloth – but you get to advertise your product, brand, organisation or club in vibrant colour. 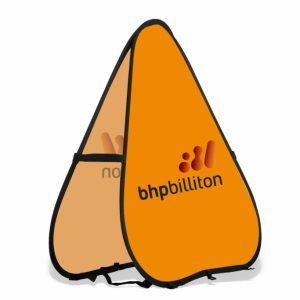 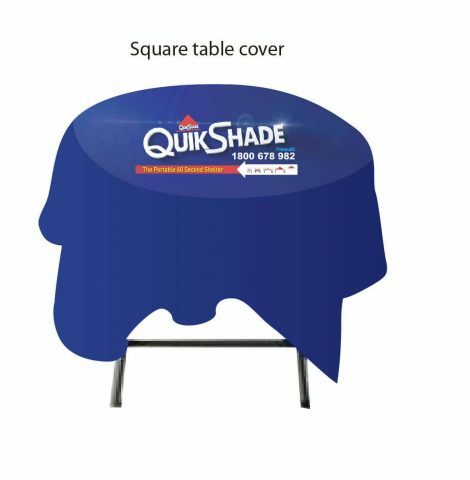 Great for Trade Shows, Conferences, Hotel Events and Job Fairs, Fund Raising, Market Stalls. 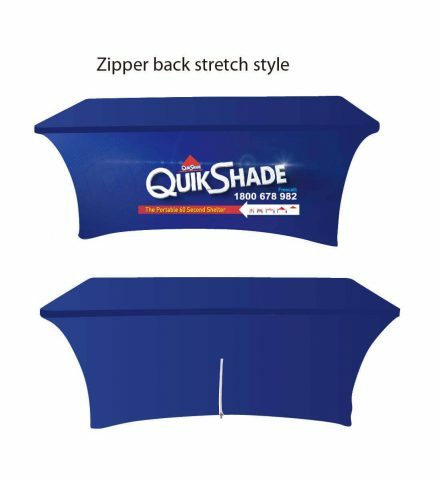 Remember at QuikShade Australia, we never charge for preparing artwork proofs – it is all part of the service that we provide. 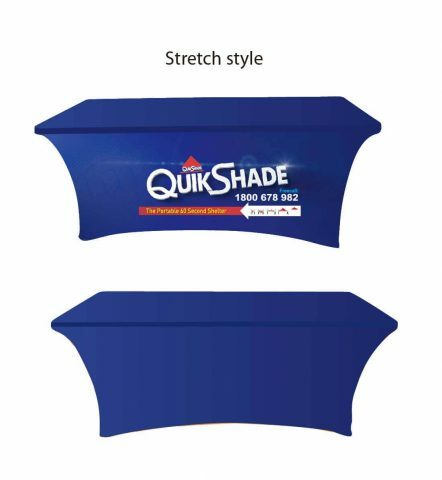 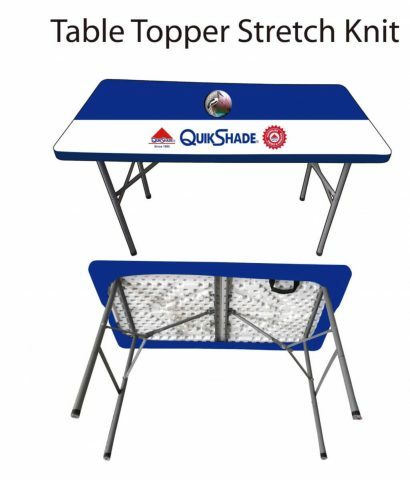 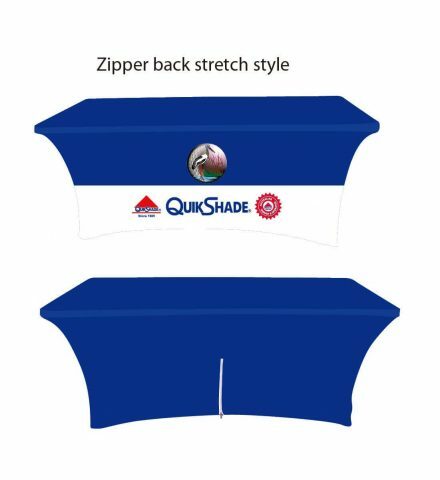 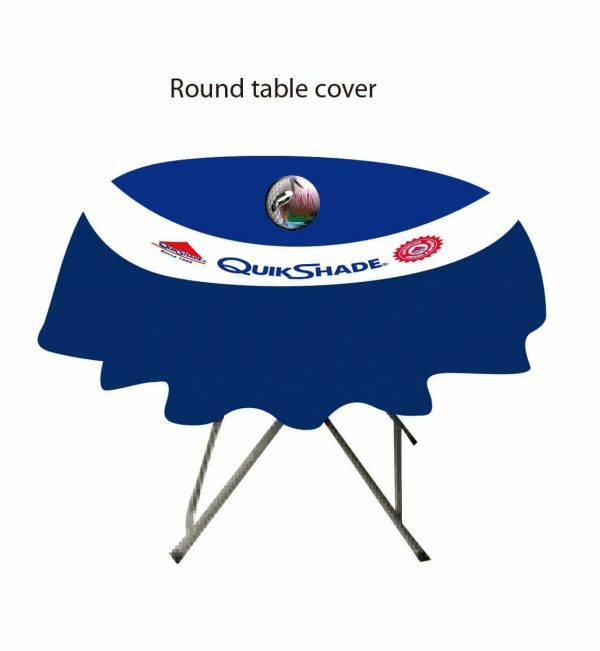 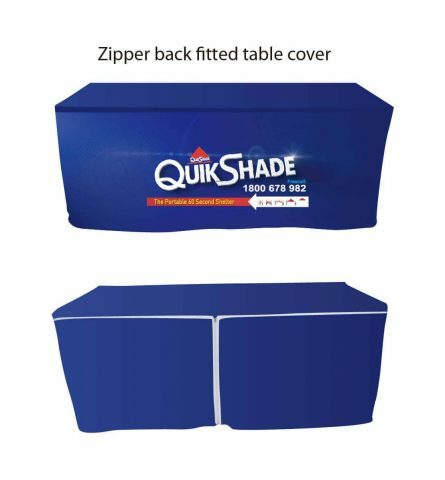 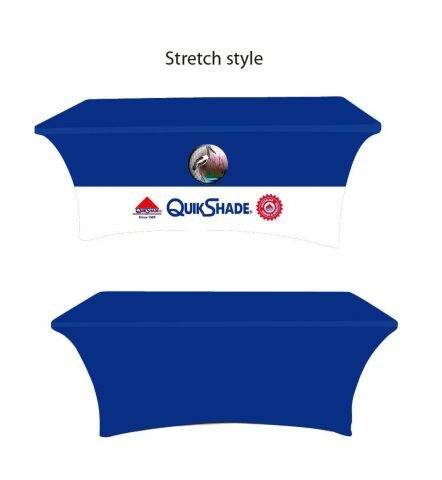 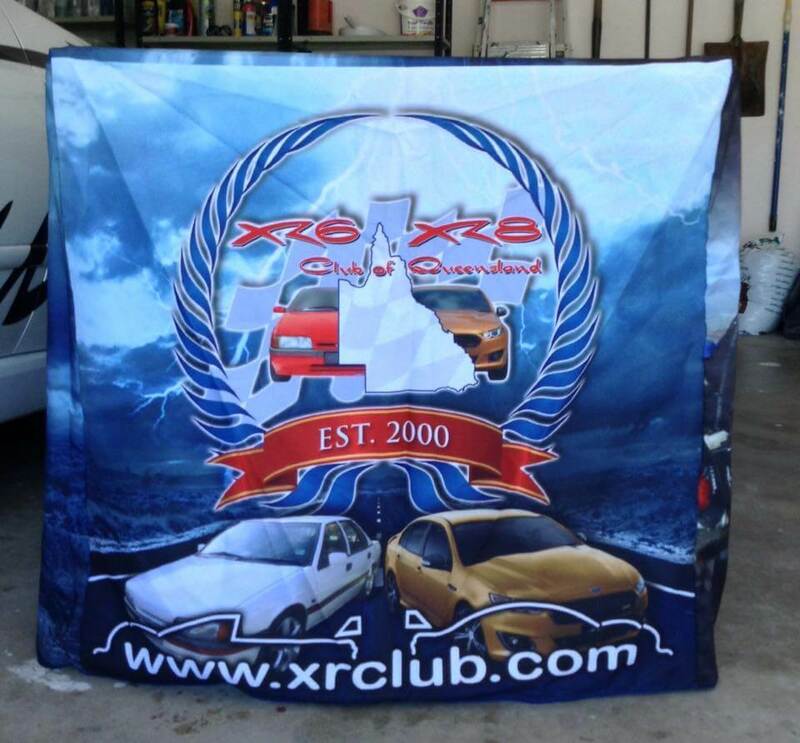 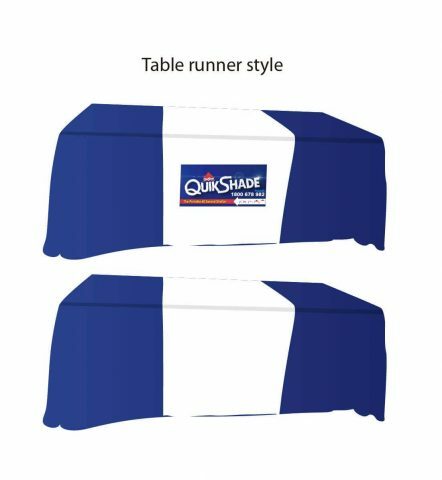 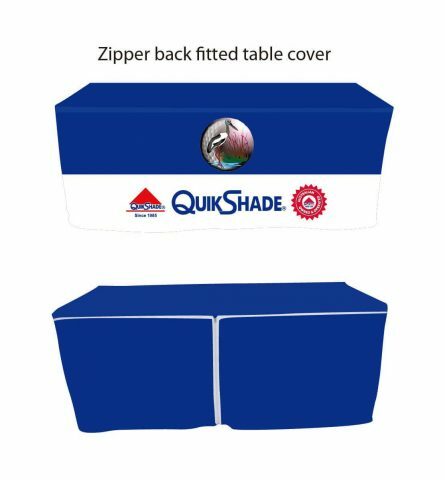 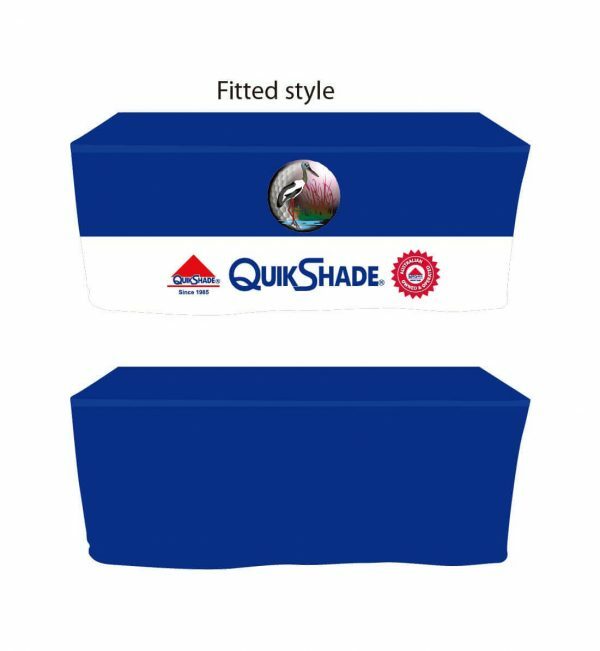 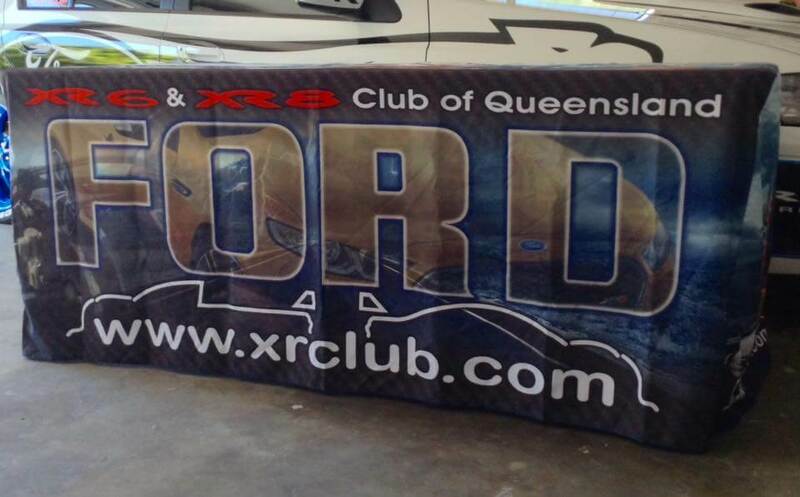 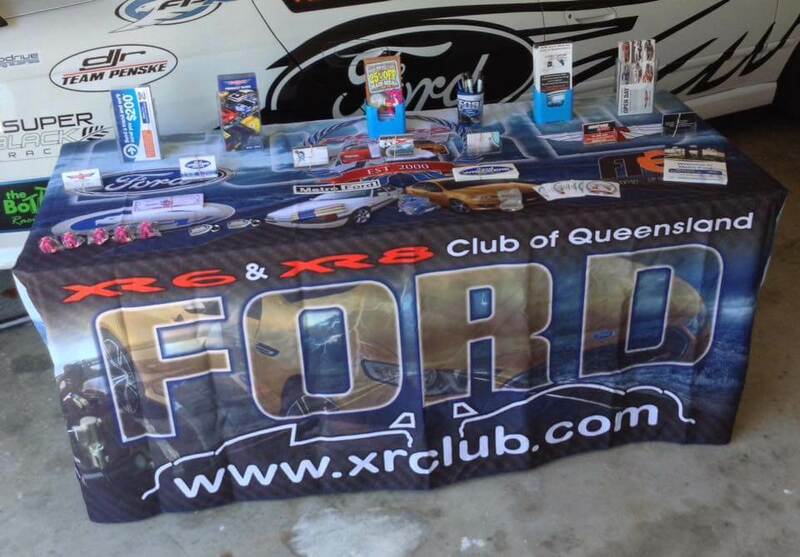 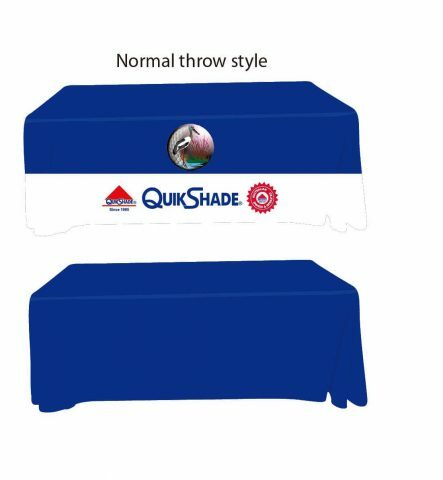 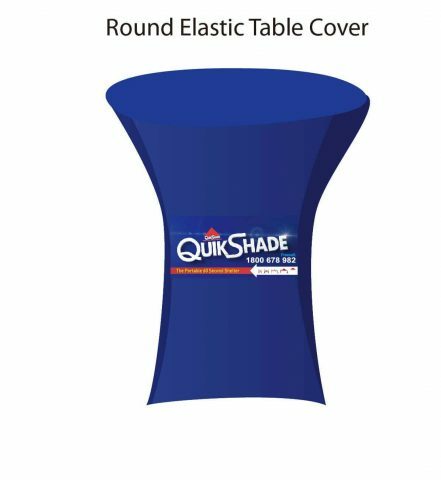 Table covers are produced for QuikShade Australia by an offshore facility, where we have our own production line and quality control – this facility specializes in the printing of fabrics, and distributes their products all over the world. 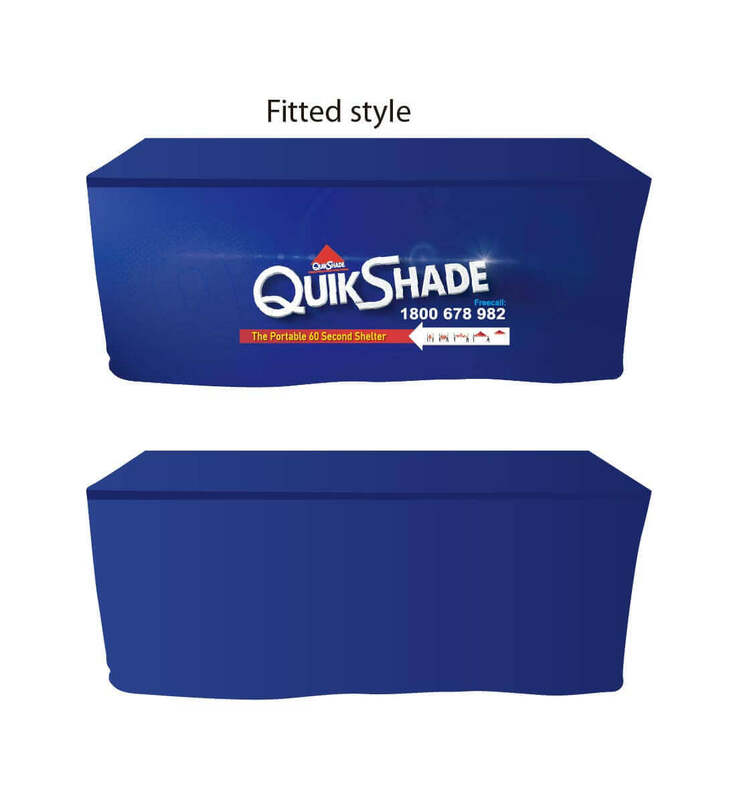 Quality is the key word – we believe that the printing is the best that is available. 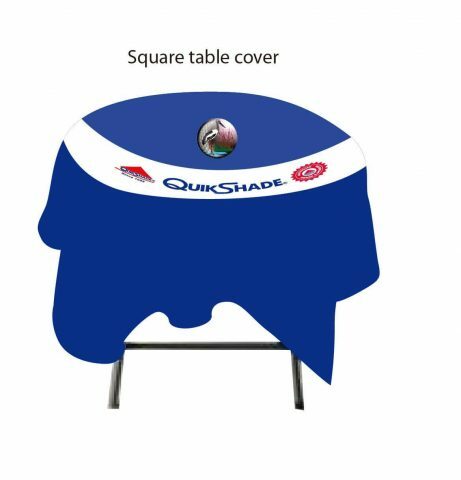 Table covers can be machine washed on a light wash cycle, and then hung out to dry – DO NOT tumble dry them!